An Excellent Tool for the Spotting Pro! Comes with a 600 Watt electric heater to heat the cleaning solution. Fantastic for spotting calls or quick touch ups, the PowerX Pro Spotter extractor lets you leave the truck mount at the office and start making money a few seconds after arriving on the job! There’s plenty of pressure with the 55psi water pump. 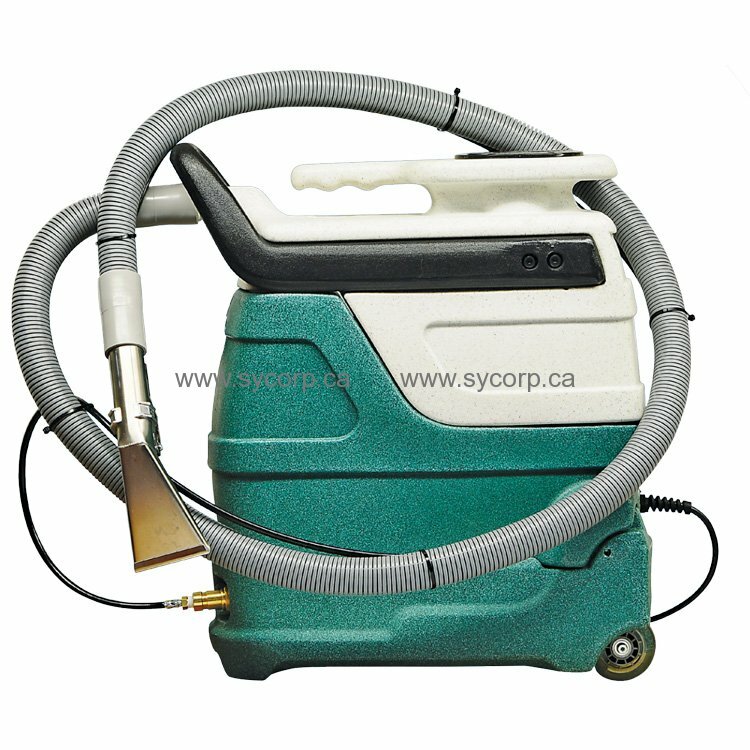 The vacuum is supplied by a 4.8” 2-stage vacuum motor that produces 76” of water lift for spotting, upholstery cleaning and touch-ups. This machine works wonders when used with the Water Claw Spot Lifter to deal with all kinds of stain and odor jobs! The 3 gallon capacity insures plenty of water to clean several pieces of upholstery or multiple spots. The PowerX Pro also has double ball bearing urethane wheels and a pull out handle that lets you transport the unit by pulling it like a suitcase! 7 foot length of 1-¼" Vacuum hose, Professional SS heavy duty extracting tool with aluminum valve and High temperature solution hose included.